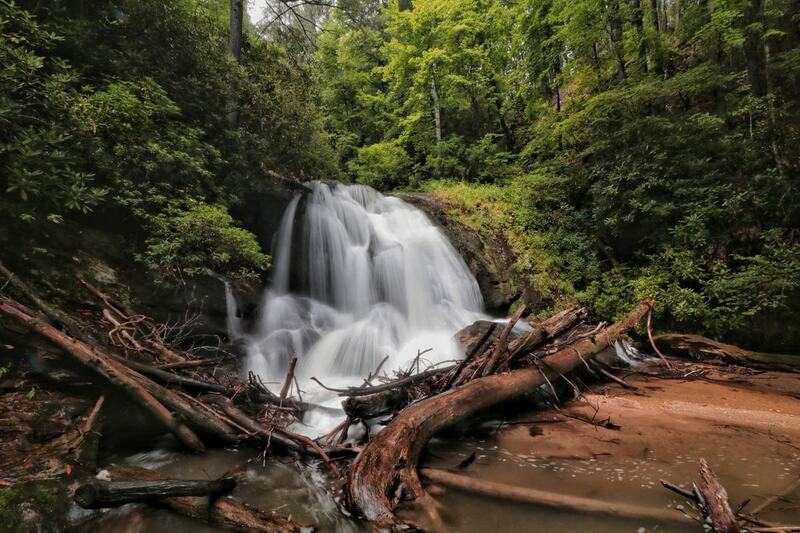 Waterfall Info: From the bottom, this is the fourth of five named waterfalls on Wildcat Creek. The falls is just downstream from the Hellhole Branch confluence. Even though this falls is not on Hellhole Branch itself, "Hellhole Falls" is an appropriate name because of the bushwhack required to get here! Access Info: This waterfall is accessed by a short but steep, tough bushwhack off Wildcat Creek Road (FS 26.1). St. Paddy's Falls and Hellhole Falls are in a short gorge on Wildcat Creek that happens to be well below the road.